On an extraordinary day for racing, a record 50,000 runners inspired up to one million spectators lining the course on their 26.2 mile journey to finish one of the best events in the world: The New York City Marathon. 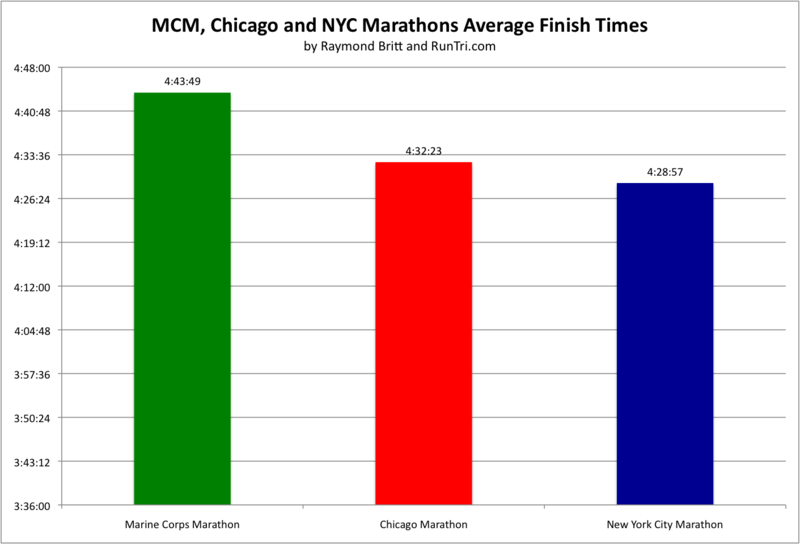 We're proud to have finished this great marathon in the past; this year, and we've been there to witness and photograph the event. 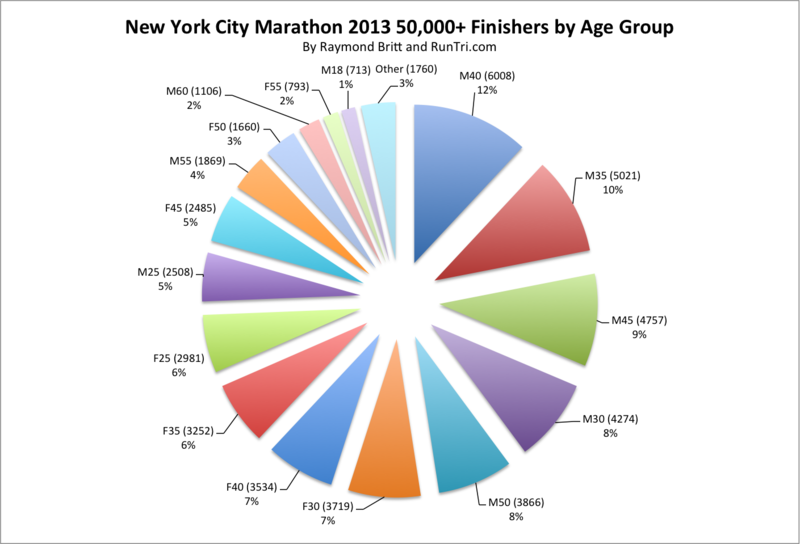 And we've crunched the numbers to provide our annual detailed results analysis. 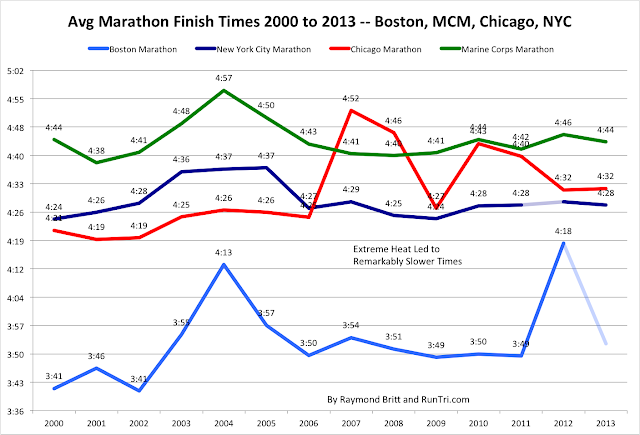 For overall perspective, let's start with results since 2000 --14 years of NYC Marathon average finish times -- compared to results at three other Top US marathons. 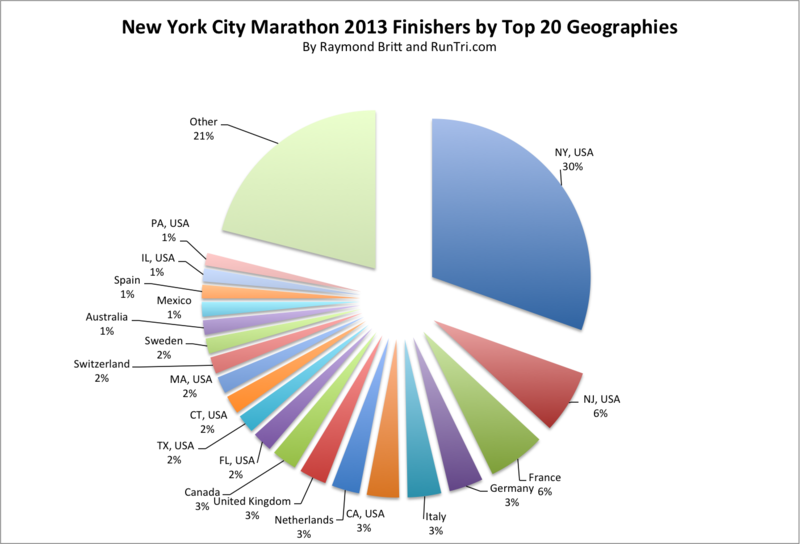 Boston, with a field made up of at least 70% who qualified to enter! clearly has the fastest field. 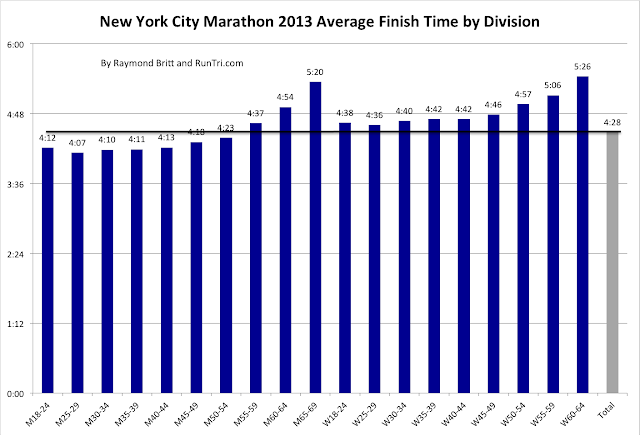 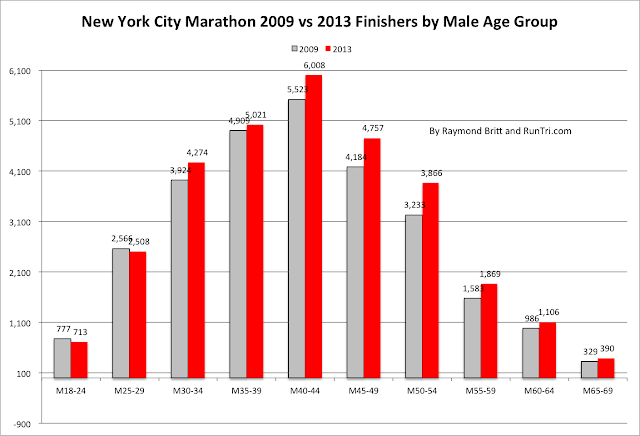 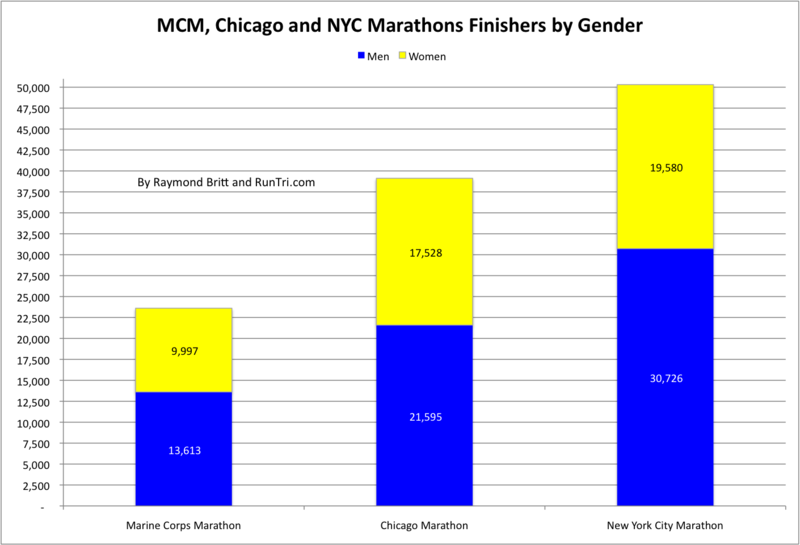 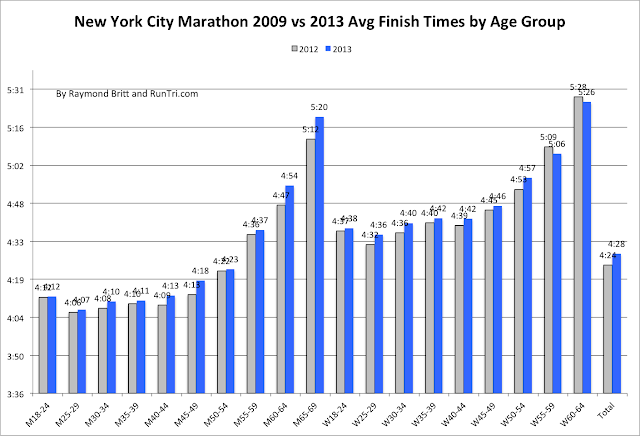 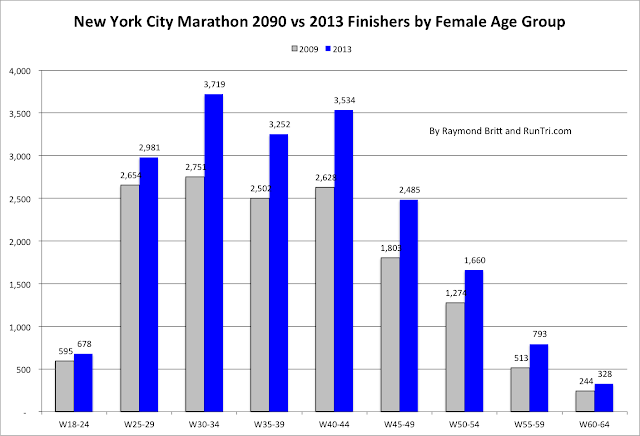 After trailing Chicago trough 2006, NYC Marathon has been a steady second-fastest since then. Chicago's struggled alternatively with adverse weather and an increasing mix of typically slower charity runners. 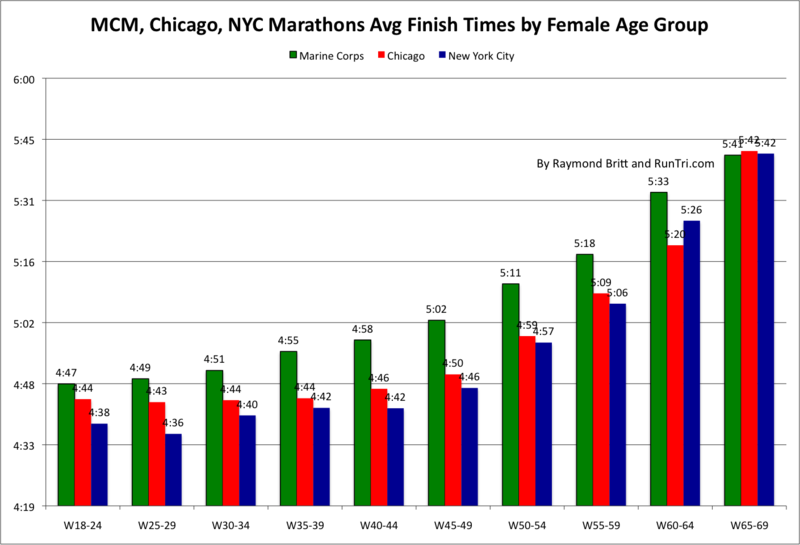 We've also done substantial additional and complementary analysis, which featured below, with customized excerpts appearing in Competitor Magazine and Runner's World Magazine. 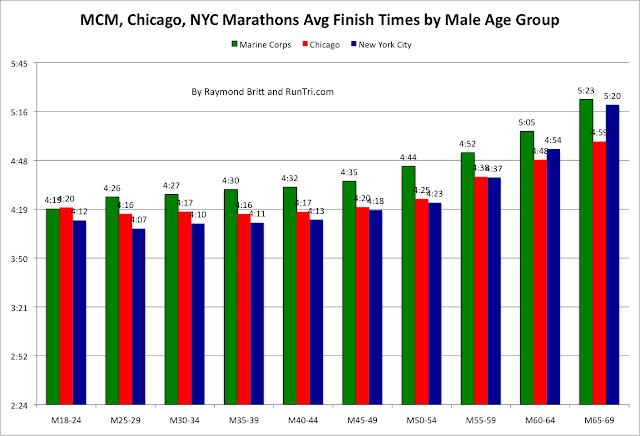 For even more, see our Complete New York City Marathon Coverage, Fastest Country, City and Age Group Analysis, and for those who seek even more data, see our archive of 200+ posts, with dozens of other marathon results, Stats/Results/Analysis. For more, see our Complete New York City Marathon Coverage, including historical analysis since 2000, and visit our Stats/Results/Analysis comprehensive archive of more than 2000 race results analyses, to compare NYC Marathon results with other major marathons.